Here's the audio version of the blogpost. If you find it helpful, please go to iTunes, subscribe and leave a review... much appreciated! I have recently begun a science project which is now perpetually brewing two of the most healthful drinks in the world on my kitchen counter! 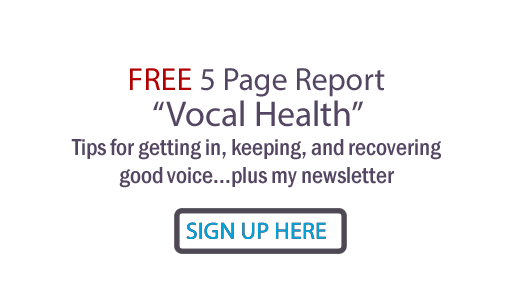 It's not only holistically good for your voice, I find that making it bears many similarities to singing. Let me introduce you to: Kefir! Kefir is a powerful probiotic, nutrient and enzyme-rich drink made from either fermented water or milk. 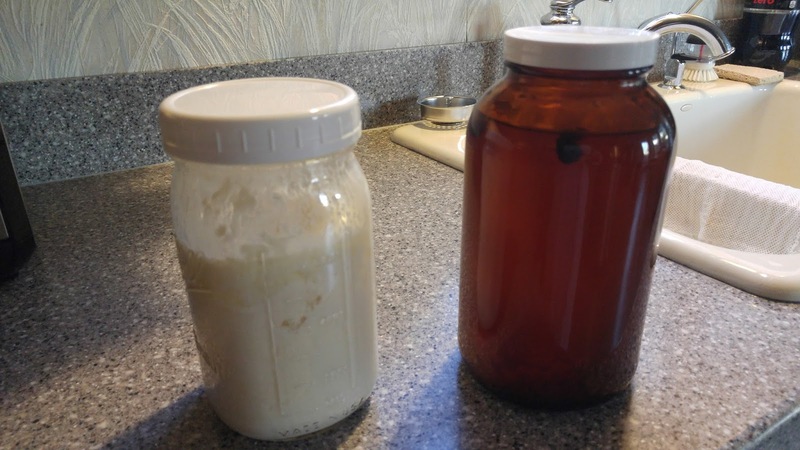 Water and milk kefir starter cultures are two different types of beneficial yeast+bacteria clusters which are called grains, though they have no plant grain components. Water kefir grains are used to ferment sugar water, milk kefir grains are used to ferment milk. When fermenting is completed, the strained liquid is the actual water or milk kefir, and then you reuse the grains for the next batch of kefir. You can't artificially create or manufacture live kefir culture, OR emotionally compelling singing. Yes, you can find manufactured kefir milk on grocery shelve, but not the grains that ferment the kefir. And the probiotic count is are either far less in the commercial than homemade brew, or pasturized out of existence. Yes, you can create machinistic vocal sounds with gear, but it lacks the nuanced human ability to create vocal sounds with emotion. Kefir exists as water kefir and milk kefir. People can have a taste for one or the other, or both. Most of the lactose in milk kefir is digested by the fermentation process, but for those with milk allergies or severe lactose digestion problems, water kefir would be the way to do. It's an individual thing. Drink what works for you. Singing comes in all kinds of styles, genres and languages. There are many reasons people prefer some styles to others. For instance, classical singing or metal rock can make some people feel great, and make others feel depressed. It's an individual thing. Sing and listen to what works for you. Unlike yogurt, which can add transient bacteria and create conditions favorable to good bugs in your gut, kefir can actually colonize your intestines! (This is a symbiotic good thing). Singing grows on both the singer and the listener. Vocal sounds embed and become a part of us - a part of our emotional memories. I bet you can name a song right now that will conjure up a memory in your life. There are many fascinating studies that find even patients with late stage dementia can recall memories when singing songs and listening to songs! Kefir grains, like my aquarium fish, can be killed by placing them in water or milk with chlorine or other impurities. They will also die without being fed! Water grains do best in filtered water with raw, turbino or coconut type sugar and a little extra shot of minerals such as a drop of blackstrap molasses or a few raisins. Milk grains do best in whole milk not ultrapasturized (regular pasturization is fine). The voice absolutely requires pure water and high quality foods. Without adequate hydration, the condition of the mucosal layer of your vocal cords will be sabotaged. Pollution and toxins from tobacco and alcohol, as well as drying effects of too much caffeine and mineral depleting excess sugar consumption are going to lower your short term and long term vocal ability. A donut before an important gig or recording session is NOT enough for best vocal performance! 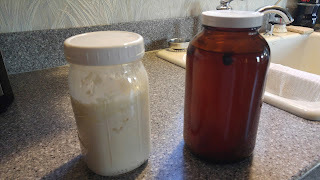 You can rest kefir grains in the fridge for a week or 10 days, but if you leave them much longer without being able to cycle and ferment food, they will die and disappear. When you take resting grains out to room temp again, they are sometimes sluggish for a cycle or two, possibly taking a few more hours to complete fermentation then when they are regularly working. You can rest your voice without a problem for a while, but unless you use it properly, your vocal ability will go down. You have to start back carefully, not 0 to 60, in order to nudge the voice back to full stamina. There is a rhythm to making kefir. For water kefir, I let the grains ferment the sugar water for 24 hours. I strain the grains and put them into a fresh sugar water solution to ferment again in a 24 hour cycle. With the strained kefir liquid, I do a second ferment with fresh fruit. The results is fizzy water to die for! What I don't drink right away I put in the fridge. Milk kefir is simpler... just put the grains in whole milk for 18 to 24 hours. Strain and refrigerate the fermented liquid, put the grains in fresh milk and repeat the cycle. Singing requires a sense of rhythm. If this sense is weak, it helps to take percussion or dance lessons. Feeling the beat needs to be developed deeply. Singing also benefits greatly by internalizing vocal technique by memorizing the 'dance of the melody'. Kefir literally translates to 'feel good' in Turkish, the land of its origin. Among a ton of other beneficial things it contains GABA, and contributes to the creation of serotonin. I can tell you from my experience, I actually feel better from drinking both milk and water kefir. Singers can experience 'singer's high'! It has been documented both scientifically as well as personal experiential observation that singing creates endorphins and lessens stress. Listening to singing also creates this feel good phenomena! Well nourished and cared for kefir grains will grow and expand exponentially. This makes it very easy to divide and share the abundance of this powerful natural probiotic. Singing is made for sharing. It's contagious; start singing something in a car or on a walk with friends and see how quickly your voice will be joined by others. Listening to singing instigates singing along. The better and healthier the singing, the more contageous it is. Kefir originates from an ancient source. No one really knows it's origins, but we do know that when well cared for, it can keep going infinitely. Singing is something that can keep going not only from childhood throughout life, but beyond. That is the power of singing... it lingers and lasts, etched in recordings and in memories of listeners. Singing and Kefir. I highly recommend creating both! For a slideshow of my kefir making, go here! Listen to the audio version of this post at All Things Vocal Podcast.